It was recently reported that legislation tying future minimum wage increases to the Ontario Consumer Price Index was passed last Thursday in Ontario. The legislation pegs minimum wage, which went from $C10.25 per hour to $C11.00 per hour last June, to the CPI and every April the government will announce how much it will increase. If you are budgeting for 2015, it is important that you factor this into your labour cost from May 2015. 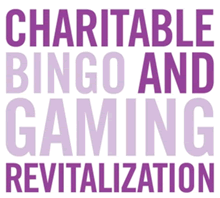 The Revitalization of Charitable (Bingo) Gaming is in the final weeks of another productive and successful year, especially on the implementation schedule with the full conversion of 26 centres by the end of December 2014. This is a remarkable achievement by anyone’s standard and actually makes c-Gaming the single largest gaming channel for the OLG in terms of venues. Previously it was the racino’s. As we begin to align our thoughts to 2015, this year must now focus on how we go about maximizing the opportunity with a clearly defined consumer experience that is complimented by the development and refresh of the product portfolio for the Charitable Gaming sector. Naturally, what is critical is the focus on the right issue, which is the key driver of the initiative,namely the consumer. How are we forging a constructive and lasting connection to them and delivering an experience that they want and enjoy. As with any business in transition it is about offering multiple experiences simultaneously under one roof. We need to cater to the traditional bingo customer while appealing to the new social seeker. This is not easy. It takes thought and viewing the Venue differently. They are no longer a Bingo Hall. It is a Community Gaming Centre that needs to have broad appeal. Revitalization is about GROWTH. It was not about maintaining the status quo. It requires bold action to achieve its objectives and the root to success is the connectivity to the consumer and community. This is what differentiates community gaming from other forms of gaming in the province. We therefore need to focus on the consumer. We need to have access to the normal commercial data & analytics, which all major sectors in gaming have been using for years. A Player Loyalty Program is needed in 2015. This would provide both active demographics and consumer segmentation patterns and from this foundation we can begin to tailor programs and promotions that are best suited to meet their needs. The long history of co-operation (dating back forty years) of the Commercial Operator and Charities or Centre Charity Association working together needs to be strengthened and in 2015 we will work to ensure that we re-connect that relationship via our Community Connections Program. This is designed to set a structured quarterly meeting between the Community Gaming Centre Management and Centre Charity Association Executive, to meet and discuss mutual issues & plans affecting the Centre and community. Through continuing to work together in partnership with an aligned focus has benefits and has delivered benefits in the past. There are some tremendous examples of this in Sudbury, Toronto, Penetanguishene, Barrie, Windsor, Mississauga and Pickering, to name just a few. Through scheduled meetings designed to communicate & share ideas,I believe this would strengthen opportunities for the future. There is no better model than that of Tony Rosa in Windsor and his Charity Associations who he meets with quarterly and Tony will be talking about this at our next General Meeting. Going into 2015, if we all focused our minds on performance I feel we could make real strides through the course of the year. It will not be easy but through joint efforts and looking at what is possible, I believe we can because we must not forget this is about partnership. This once again shows the tremendous commitment by all partners (OLG, CGAO, OCGA & Municipalities) to see Charitable (Bingo) Gaming revitalized in this province. Last week Mr. Greg McKenzie – Senior Vice President (Lottery & c-Gaming) announced the appointment of a new Vice President c-Gaming at the OLG with immediate effect. This is only the second person to hold this title, the first being Mr. John Wisternoff in the early stages of the initiative. Thus, Mr. Rick Gray has undertaken the leadership of the c-Gaming file and will report directly to Mr. Greg McKenzie. With over 20 years’ experience within the corporation in various channels and roles, he brings a broad wealth of knowledge and experience to his new role. Mr. Ron Ko & Ms. Diane Gartshore (Directors c-Gaming) and their teams will now report directly to Rick. I have already had an opportunity to speak directly with Rick and look forward to working with him in the coming months to drive forward various initiatives in the c-Gaming initiative. The CGAO, in conjunction with the Canadian Gaming Association & Media Edge, will host the first of what will become an annual Community Gaming Conference with the emphasis on developing a Community Gaming Channel. This is focused on the commercial elements of what drives and engages consumers to visit our Centres. This conference is unique as it will look at what drives the business and engages the consumer. This is about engaging those who are in the industry to think and participate in discussion about how we can, on a broad front, enhance and enrich the contributions we make on a daily basis. The conference is open to anyone who is involved with the Charitable Gaming sector, whether that is Bingo, Breakopen, Raffles, 50/50 Draws, Charity Representatives, Municipal Official, Crown Corporations and Suppliers (both Gaming & Non-Gaming). It is only through engaging all parties that we can have a 360 degree discussion on how we drive for effective change for the future. Therefore, EVERYONE is welcome and everybody will be welcomed at this landmark event and soon to be annual event. As Centres begin to set their minds on deploying Christmas decorations for the holiday season, I just wanted to remind all Gaming Centre Managers of the need to be mindful of the alarm sensors in your Centre. Previously, we have experienced false alarm calls due to a gust-of-air going through the Centre during the course of the night. Since our last edition there is only one individual on the move, as mentioned below. Mr. Kirk Float - After a period of leave, Kirk returned back to the OLG c-Gaming Team as the Business Relationship Manager – Windsor & Southwest. Mr. Bob Longman (Operations Manager) took the opportunity to thank both Adam Russell and Daryl Barrett who, between them, covered Kirk’s area during the absence. Welcome back Kirk. It is time to turn our attention to the 2015 calendar year and promotional opportunities that could be leveraged. I would encourage you to speak with your Business Relationship Manager or our fellow members who can assist you with ideas or promotional material. Arrow Games/Bazaar & Novelty Ltd. This is to remind all CGAO Members that our next meeting is coming up on Tuesday, the 2nd December 2014, as indicated below. Please confirm your attendance to our Administrator, Ms. Sandi Nesbitt, at nesbitt.s@sympatico.ca. Gala Coral Group - It has been announced that Gala Coral Group has opted to merge its Gala Interactive & Coral Interactive online gaming divisions under a single management team. Gala Coral said that the combined business will work more closely with the Coral 10 retail division in order to take advantage of ongoing multi-channel growth.